How Does Ink Diffuse in Water? 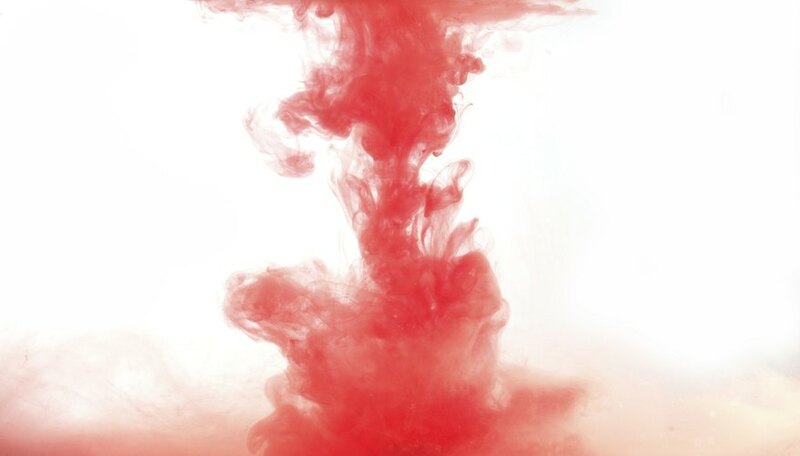 Ink diffuses in water because of the random motion of water and ink molecules. On a large scale, we don’t see the individual molecules moving. Instead we see how dark the ink is at different points in the solution, which actually indicates its concentration. You can see the ink move from areas of higher concentration to those of lower concentration, and the rate of this movement is proportional to the diffusion coefficient of the ink in water. Temperature is a measure of the random motions of molecules. As water molecules move around randomly in a mixture with ink, they bump into the ink molecules, causing them to move randomly as well. In places where there are more ink molecules, there are more collisions with water molecules that bump the ink molecules to other places. As a result, on average, the ink molecules move from areas with more molecules (higher concentration) to areas with fewer molecules (lower concentration). The higher the temperature of the water, the faster the molecules move. This results in more and harder collisions. Consequently, the diffusion coefficient is proportional to the temperature. How far each ink molecule moves after a collision depends on its diameter, because bigger molecules slow down more from friction compared to smaller molecules. The intrinsic friction in a fluid is called viscosity. Thus, the diffusion coefficient is inversely proportional to both the molecule's diameter and the liquid's viscosity. The second law of thermodynamics states that entropy tends to increase. Entropy is a measure of how disordered, dispersed or randomly arranged things are. As ink diffuses from a concentrated drop, the molecules become more spread out and randomly distributed. So as ink diffuses, the entropy of the system increases. What Effect Does Temperature Have on the Process of Diffusion? Balter,, Ariel. "How Does Ink Diffuse in Water?" Sciencing, https://sciencing.com/ink-diffuse-water-4564564.html. 24 April 2017.